This longstanding Minneapolis performance venue, built in 1921 to host vaudeville acts, was later converted into a movie theater. Minnesota native Bob Dylan purchased the shuttered theater in 1979, and repurposed it into a performance space. Reborn as a musical venue, this is where Prince first headlined a major downtown venue as part of his Prince tour on February 9, 1980. 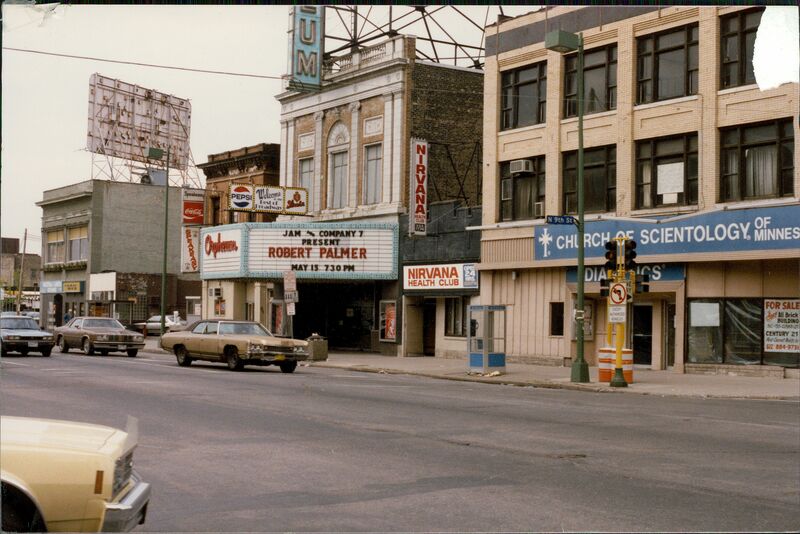 It also served as a filming location for the film Purple Rain (1984). All of the backstage scenes from the movie were filmed here. Kirsten Delegard, Michael Lansing and Kristen Zschomler, “The Orpheum Theater,” Augsburg Digi-Tours, accessed April 24, 2019, http://digitours.augsburg.edu/items/show/41.